Orthodontics enables me to play an important part in improving the dental health and self-esteem of my patients, young and old alike! I feel that there is no greater compliment than when former patients come back just to visit, and many times for me to treat their children. In order to become an orthodontist, I attained my Bachelor of Science and Doctorate of Dental Medicine from the University of Pittsburgh. I graduated from West Virginia University with my Master of Science and certificate of orthodontics. I am a board-certified orthodontist. The American Board of Orthodontics reports that only one in three orthodontists is board certified. A board-certified orthodontist has voluntarily gone through hundreds of additional hours of preparation to demonstrate the judgment, skills, and knowledge required to provide the highest level of patient care. We have achieved board certification through the American Board of Orthodontics, the only orthodontic specialty board recognized by the American Dental Association and in affiliation with the American Association of Orthodontists. I continually participate in continuing education courses in order to stay abreast of all the changes and improvements in the science of orthodontics. This allows me to treat my patients with the most modern and effective procedures and materials. 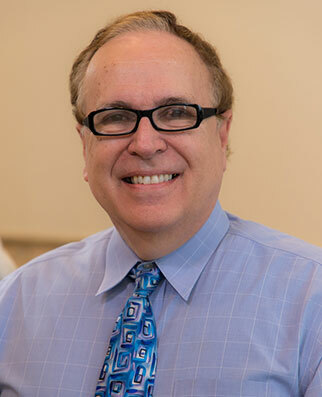 As a professor of orthodontics, I play a role in the dental education of many of the young dentists and orthodontists in Maryland and the surrounding states. Teaching encourages me to use the most technologically advanced methods of modern orthodontic treatment. This includes 3-Dimensional Cone Beam CT imaging, soft-tissue laser procedures, reduced-friction self-ligating braces, gentle “space age” memory alloy wires, temporary anchorage devices (TADs), Invisalign® clear aligners, and aesthetic ceramic braces. Dentistry is a fabulous profession for any young man or woman. We enjoy the rewards of helping satisfy patients’ orthodontic needs while having a positive effect on their lives, especially for children and teenagers. There is certainly more to orthodontics than just straightening teeth. An improved appearance through orthodontic treatment can greatly enhance one’s self-esteem, and enhanced self-esteem can improve one’s quality of life! Our practice is designed with your needs in mind. We try to accommodate the busy schedules of our patients and parents. We really work and succeed at staying on time, thus eliminating waiting by our patients. I am originally from Cumberland and have lived in Howard County for more than 25 years. My favorite weekend activities involve watching the Skins, Ravens, and Orioles. I like to play just about any sport involving a ball. I hope to take up running one day, but I have been saying that for a long time! I am also very likely to show up at your school plays and sporting events. I really enjoy seeing my patients participate in the activities I enjoyed as a student. As a Navy Reservist working for the Guidance and Admissions Department at the Naval Academy, I have awarded appointments to the Naval Academy to Howard County students that, in total, have a value of more than 14 million dollars!